Step into the vast wilderness of southern Utah’s desert and it’ll seem like you’ve arrived on another planet. From towering red rock formations to winding canyons carved from centuries of flowing water, it’s understandable why people travel from all over the world to see this part of Utah. While you could spend ages exploring just a small slice of this dramatic landscape, road-tripping is one of the best ways to see the highlights. And there’s one scenic byway that stands out among the rest of Utah: Highway 12. 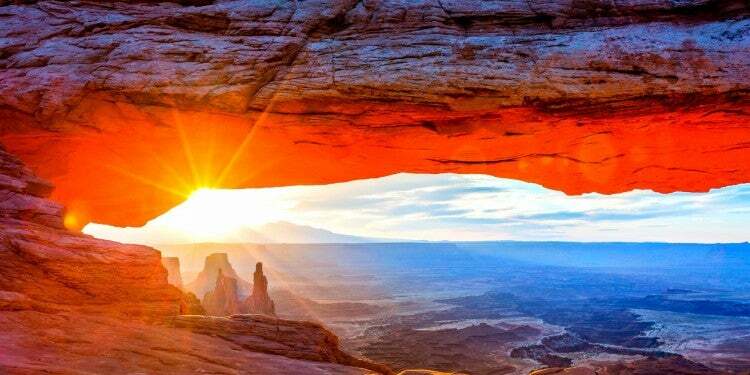 One of Utah’s most famous scenic byways, Highway 12 snakes its way west through desert wilderness and sandstone formations, and hitting a few of Utah’s “Mighty 5” national parks along the way. The road passes through some of Utah’s most-photographed scenery, including the sloping sandstone of Escalante and the Hoodoos of Red Canyon. 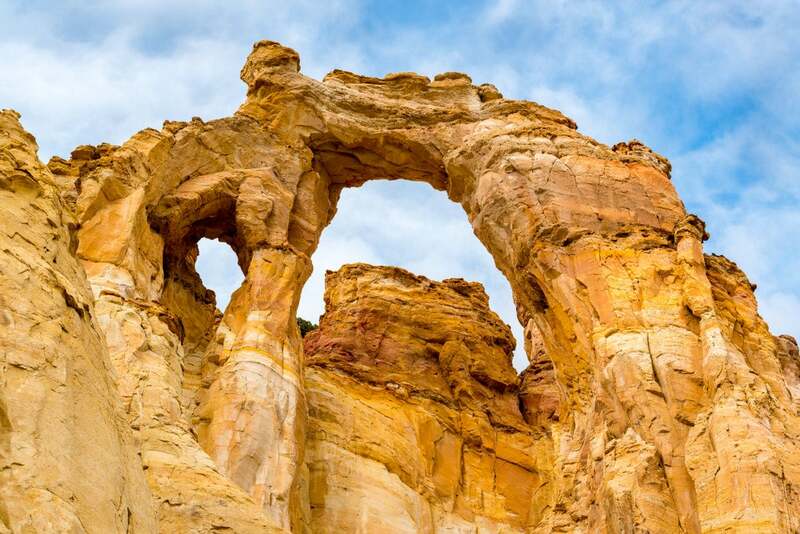 Road-tripping on Highway 12 through Utah means you’ll find everything from sandstone arches, like Grosvenor arch, to desert oases in places like Calf Creek Falls. If you’re looking for a quintessential Utah road trip teeming with opportunities for roadside adventure, then this scenic byway is your ticket. 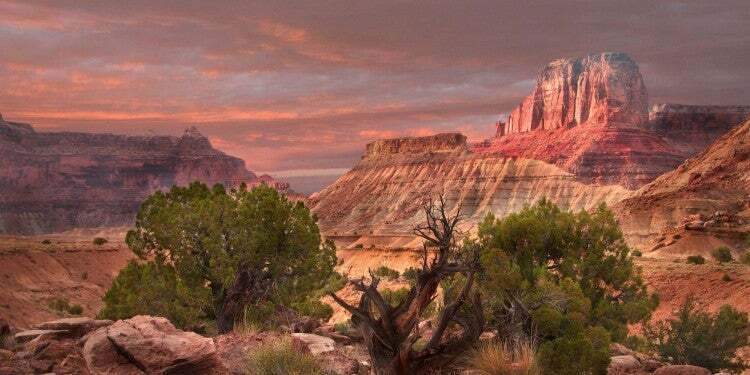 Backpacking is one of the best ways to explore the landscape of Capitol Reef National Park. Options are nearly endless with canyons and routes in the northern Cathedral District, along Highway 24 through the park, and in the southern Waterpocket District. 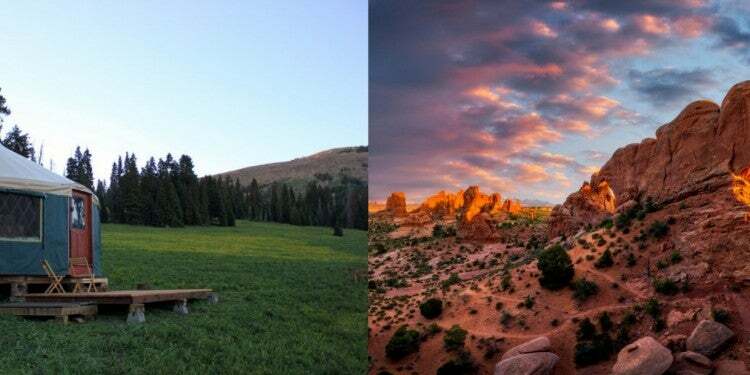 For a sample of backpacking in Capitol Reef, grab a permit from the visitor center and hike 18.7 miles through Spring Canyon, beginning at the Holt Draw trailhead and camping along the way before exiting at the Chimney Rock parking area. You’ll find yourself immersed in a desert canyon, winding through geological wonders as you hike. Backpacking in the desert requires skill and preparation. The landscape and climate of the desert are unforgiving to the inexperienced. 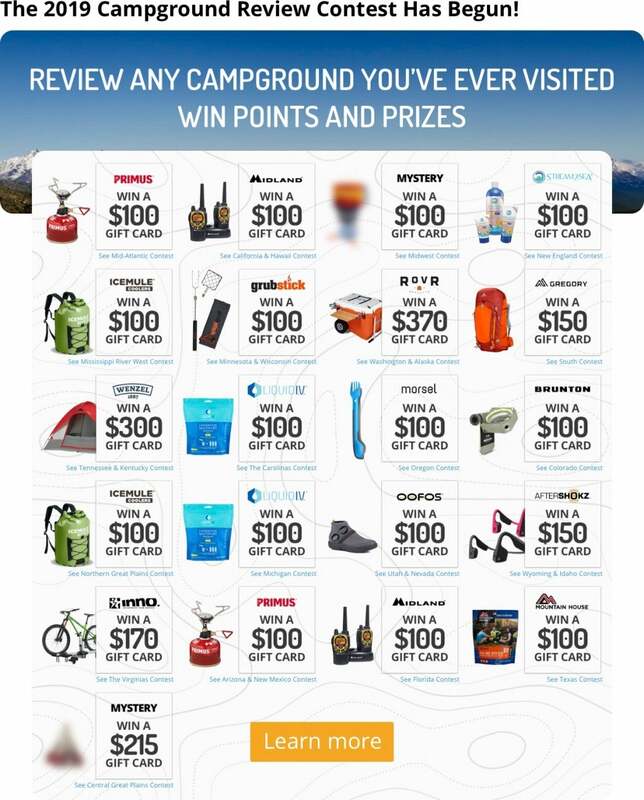 So go with a guide if you don’t have a solid background in orienteering and backcountry safety. Bonus: Capitol Reef is also an International Dark Sky Park. Come nightfall, find yourself a spot to sit back and soak up that vast sky of stars. 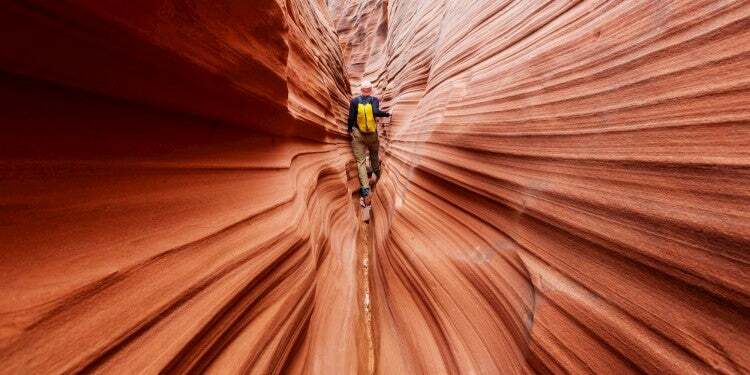 Wind, water, and erosion conspired to create many of southern Utah’s fascinating formations, including natural arches. Veer off of Highway 12 near Cannonville to capture views of 150-foot tall Grosvenor Arch. Follow Cottonwood Canyon Road (a maintained dirt road) for about 10 miles to the quarter-mile paved trail that showcases the towering sandstone formation. Take a detour down the 62-mile dirt road to reach Escalante’s edge at Lake Powell. Retrace the steps of early pioneers, following the route they used to access the Colorado River near Glen Canyon. 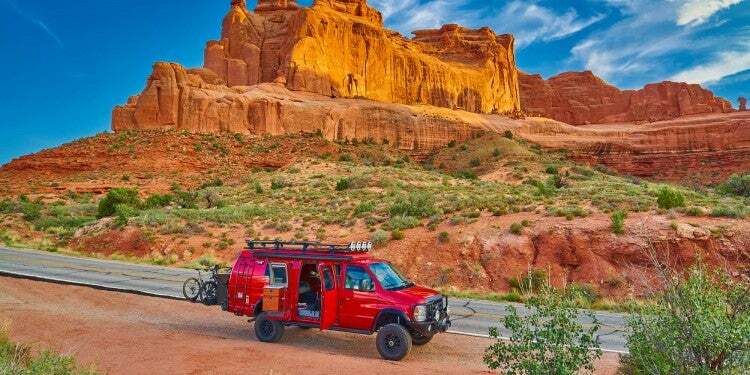 You’ll find stunning sandstone scenery, red-rock arch formations, and sheer cliffs along the way. Bring the mountain bike along for a challenging and stunning 8-mile ride through red-orange hills, ponderosa pines, and hoodoo formations. 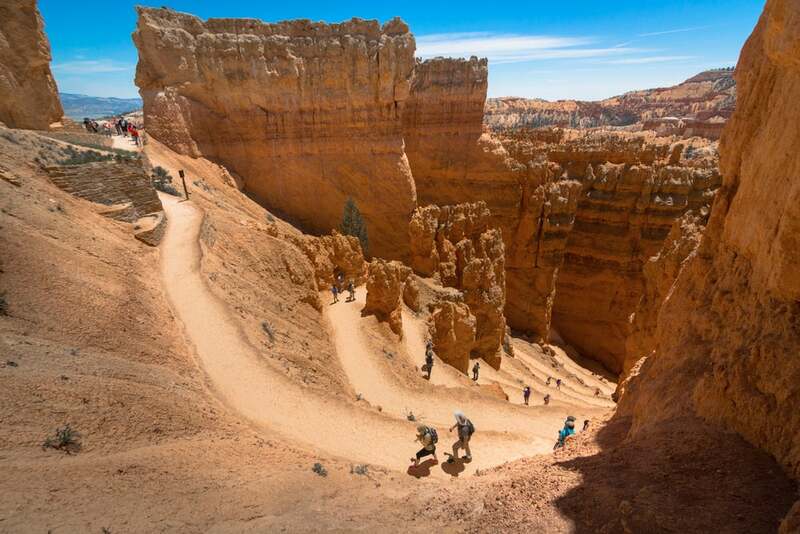 You’ll find scenery worthy of a national park, but without the crowds of Bryce. Begin at the Coyote Hollow trailhead and ride to a shuttle car at the Red Canyon visitor center for a mostly downhill ride. Find this desert oasis in Calf Creek Recreation Area just off of Highway 12, Utah, between Boulder and Escalante. 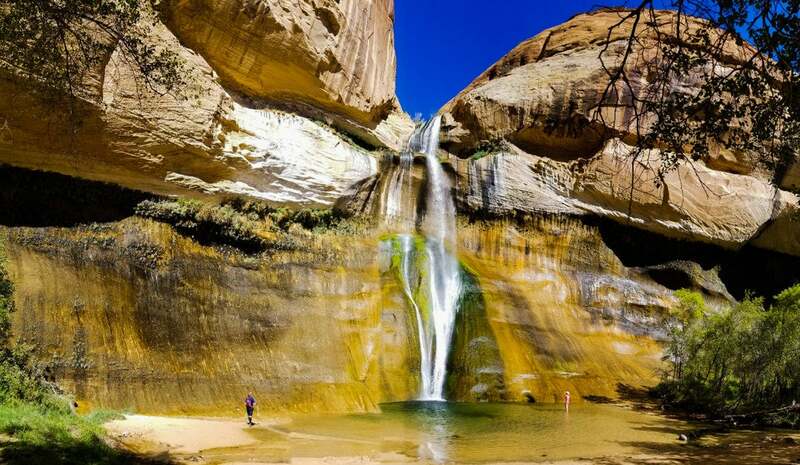 Begin at the Lower Calf Creek Falls trailhead and hike the 6-mile out-and-back trail along the calf creek to a 130-foot waterfall. As water cascades over the edge, mist cools the hot summer air and creates a lush environment amidst the dry sandstone. The trek to the falls is hot in mid-summer, but a swim in the pool below the waterfall makes it all worth it. Take a jaunt down this red dirt trail in Kodachrome Basin State Park, just a few miles from Highway 12 in Utah. The 1.5-mile trail overlooks the rock formations that make up Kodachrome Basin, and views stretch to Bryce Canyon in the distance. 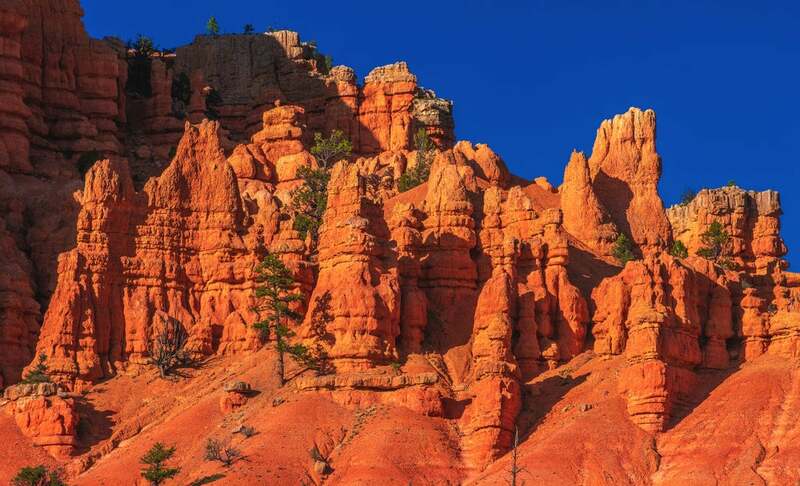 Bryce Canyon National Park is a world of Seussian sandstone, with red-orange Hoodoo formations, natural arches, and bristlecone pines growing in impossible places. The Navajo Loop Trail offers a sampling of some of the best vistas and formations in the park, like Twin Bridges, Thor’s Hammer, and two massive, 750-year-old Douglas firs shooting their way up from the bottom of the canyon. Road trips require fuel. 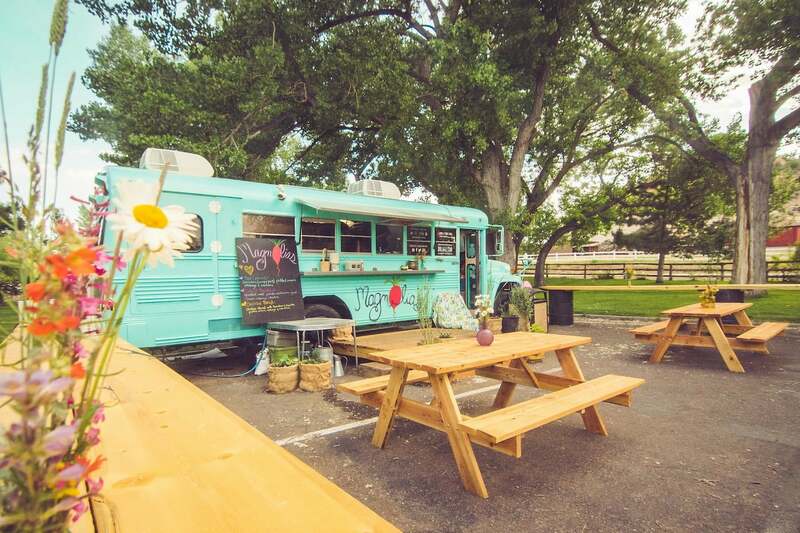 You’ll find refreshment and food at these stops along your Highway 12 adventure. If you’re craving southwest spice while out in the southwest desert, then Cafe Diablo is your spot. They kick the creativity up a notch, with dishes like Rattlesnake Cakes and Mexican Pumpkin Ravioli. And, if you’re in search of a refreshing libation after a day in the desert, one of their margaritas should do the trick. Sometimes a greasy cheeseburger is just what hits the spot after a long day of adventure. Nemo’s serves up classic drive-thru style burgers dripping with flavor. If you’re really in the mood to treat yourself, try one of their tasty shakes or malts for dessert. Crowd favorite: the Bear Claw. 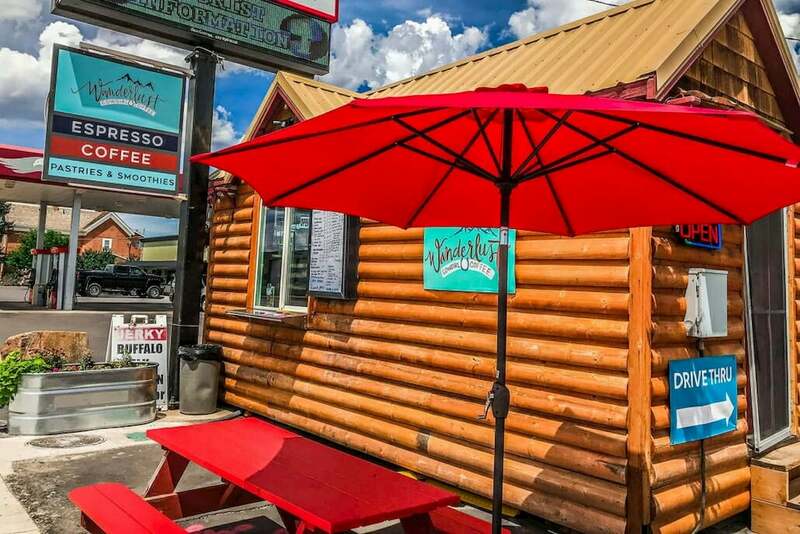 Whether you’re starting your Highway 12 road trip in Panguitch or landing there at the tail end, if you’re in search for a good latte or cup of coffee, you’ll find it at this food-truck style shop that looks like a mini log cabin. It’ll be far better than the cowboy coffee you had at the campground. When it’s time to park and rest for the night, campgrounds along Highway 12 are more than just convenient places to sleep. 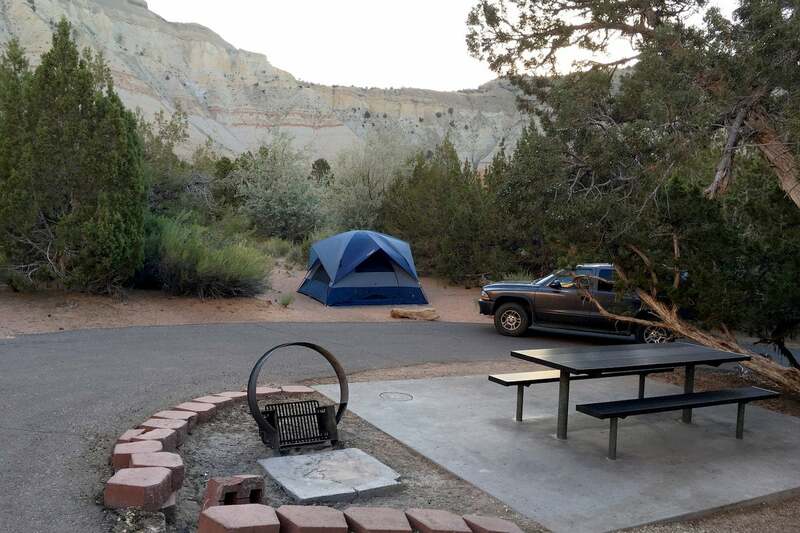 You can savor Utah’s unique landscape but stopping at these campgrounds along the way. Image from The Dyrt camper Marlin B. 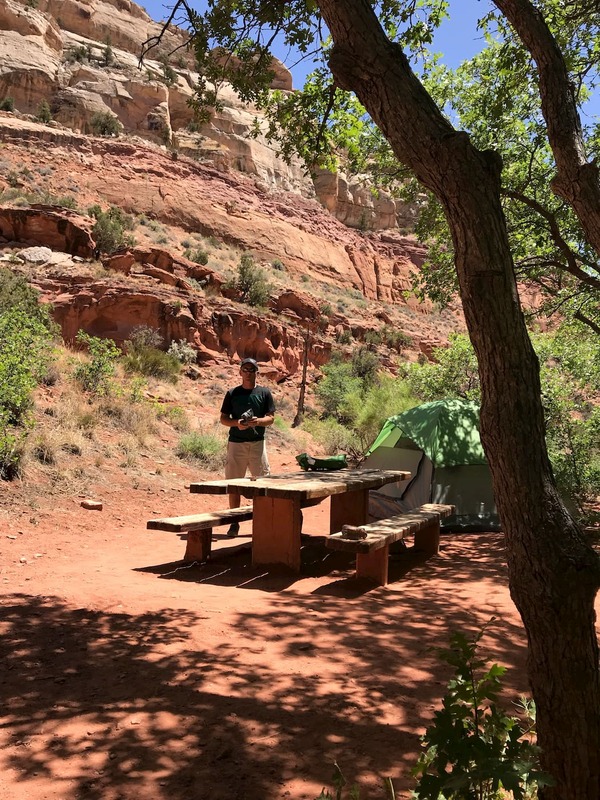 Spots can be tough to snag at Lower Calf Creek Campground, but it’s worth it to camp in this desert watering hole. The canyon walls offer bits of shade and the creek runs directly through the campground. Plus, you’ll pitch your tent right near the Lower Calf Creek Falls trailhead for first dibs to the waterfall. 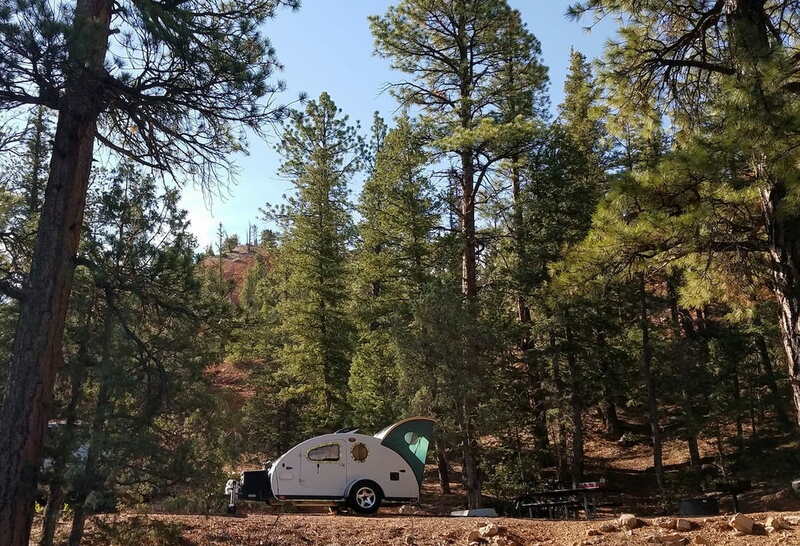 Image from The Dyrt camper Alexis P.
This large campground sits within Bryce Canyon National park and offers sites for both RV and tent campers. It’s just steps away from Sunset Point (hence the name), so you can enjoy an unforgettable sunset over the Hoodoos before crawling into your sleeping bag for the night. 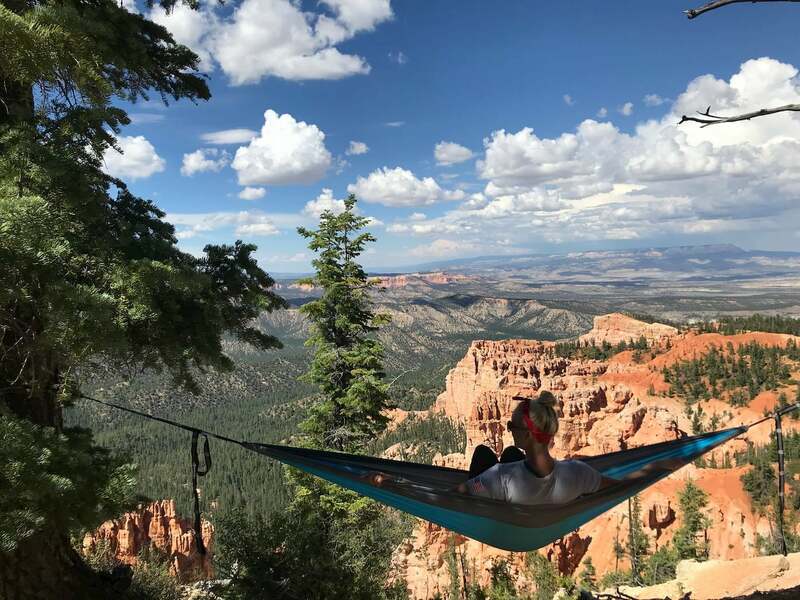 Image by The Dyrt camper Mary S.
Located on the west side of Bryce Canyon, in Red Canyon you’ll find red-rock scenery without the crowds of a national park. Red Canyon Campground backs right up against hills of red sand topped with sandstone formations. The large campground has sites for both tents and RV’s, with hiking trails and a paved recreation path leaving right from camp. Image from The Dyrt camper Stacy R.
Slightly off the beaten path, Kodachrome Basin provides classic southern Utah views with fewer crowds and plenty of amenities. Sites are available for both RV’s and tents. Sandstone cliffs surround the campground and hiking trails nearby give access to more of Kodachrome Basin’s stunning scenery, all while being just a short drive from other hot-spots on Highway 12, like Bryce and Escalante. Stasia is a sucker for mountains. Since growing up in northern Utah, studying English in Denver, and guiding in southeast Alaska, she now calls the Tenmile Range of Breckenridge, Colorado home. 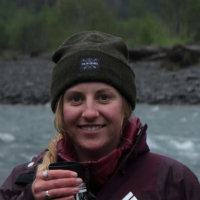 She spends as much time as possible outside, trail running, skiing, and mountain biking with her husband and dog. When she's not writing or out in the backcountry, you'll find her in the kitchen cooking or baking something new. 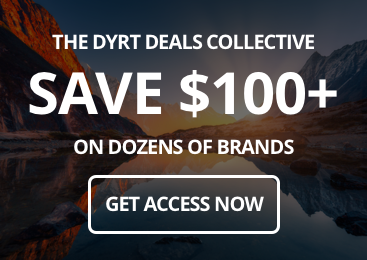 Along with writing for The Dyrt, Stasia is a regular contributor for Backpacker Magazine.